Spectral.F7 Astressin-B Topical Solution is technology that is years ahead of its time. DS Laboratories is the first biotechnology developer to synthesize and commercialize this cutting-edge peptide in a cosmetic product. 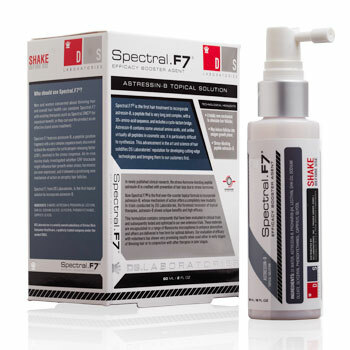 Spectral.F7 offers a completely new mechanism of action and is therefore an important new tool in a program to maintain healthy hair.